Many people say Dogs are man’s best friend but are they really more loyal? Maybe your cat isn’t so loyal after all. Dogs are traditionally considered loyal companions to humans. Historically humans domesticated dogs many years ago. Through selective breeding most living dogs are generally less wild than their ancestors or even compared to today’s wolves and hyenas. In fact a recent article in Science magazine explains how eastern and western cultures independently domesticated canines. Comparing ancient dogs to a modern worldwide panel of dogs shows an old, deep split between East Asian and Western Eurasian dogs. Thus, dogs were domesticated from two separate wolf populations on either side of the Old World. Which one is more loyal, ? or ??
? 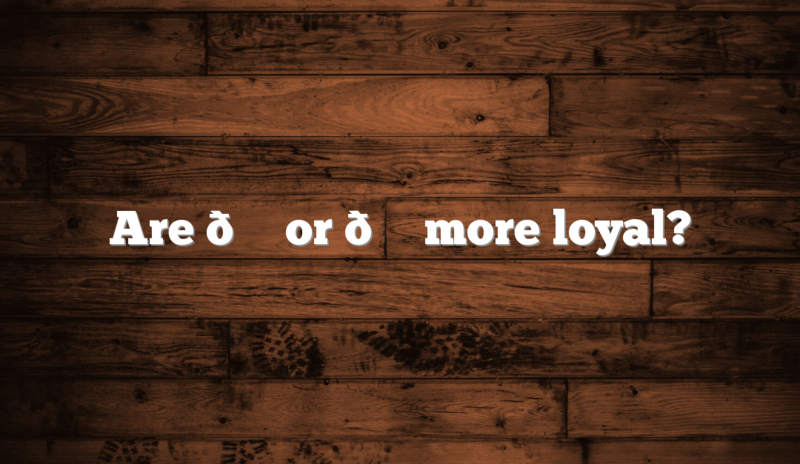 are more loyal due to a long history of domestication and selfless loyalty.